Some Americans are currently feeling hopeless. 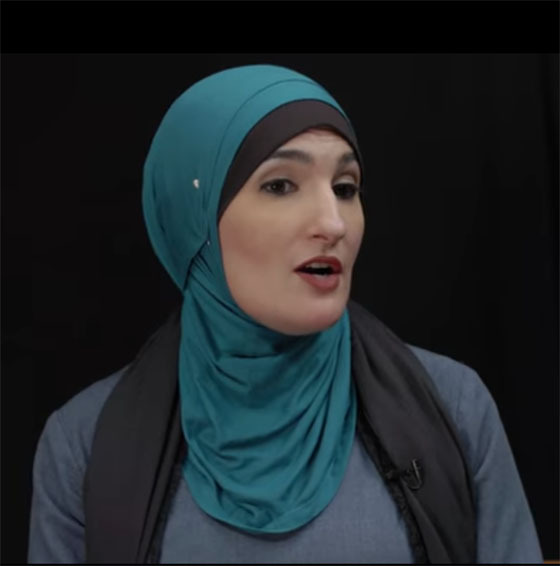 The videos below are of Americans and others who HAVE hope as well as a Lt. General in the US Air Force who is standing up for what he believes. 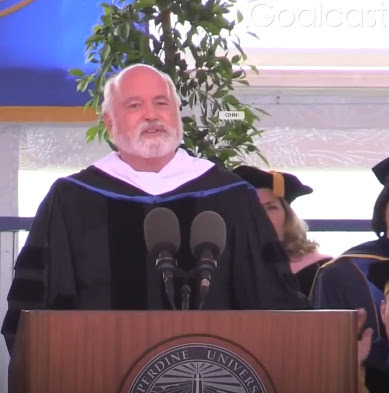 Father Gregory Boyle's work as the founder of Homeboy Industries has greatly impacted the lives of so many. 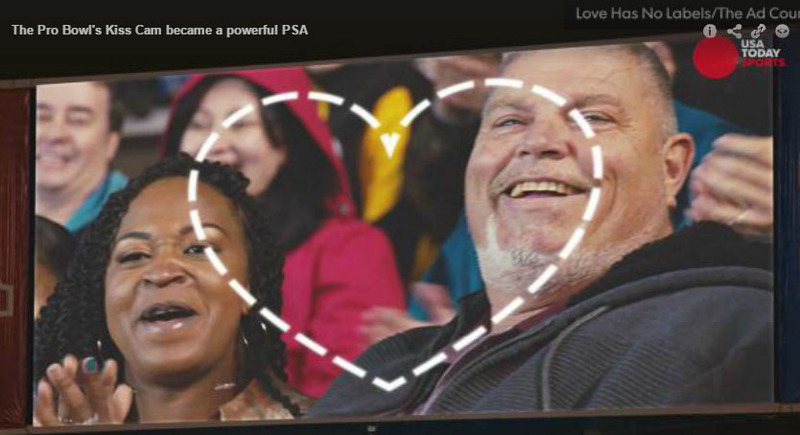 His hilarious and inspiring story reminds us all that there is no us and them, just us. As of June 12, there are 1,383,704 volunteers, assisting 81,078 people who are blind or have low vision, in 150+ countries and 180+ languages! 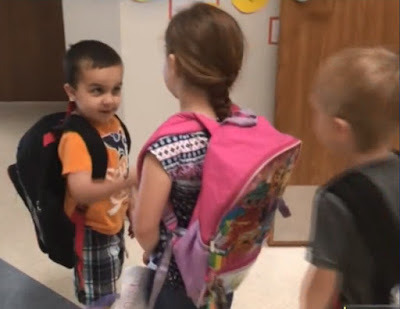 May 25, 2018 North Dallas, TX -- A kindergarten class in Keene ISD has a daily morning routine of shaking hands, making eye contact and smiling every day when they start class. February 27, 2018 Clinton, MS -- Every Tuesday, 3-year-old Kyler helps his grandmother bring the trash to the curb. Then he waits with great anticipation for his good friends, Clarence Weathersby and the two other men on his garbage truck. When they see each other, the men honk the horn and Kyler does his little happy dance. Then together they all drag the trash to the garbage truck. Kyler's grandmother says, "They're just friends, you know. They just know love and they know kindness. That's the great thing about this." February 17, 2018 Tehachapi California Correctional Institution - The Alliance for California Traditional Arts (ACTA) offered 13-week artist residencies in storytelling, transformational drawing, and songwriting as part of their Arts in Corrections programs at California Correctional Institution (CCI) in Tehachapi. ACTA developed this rehabilitative arts program at CCI to support inmates transitioning out of long-term solitary confinement to general population housing. 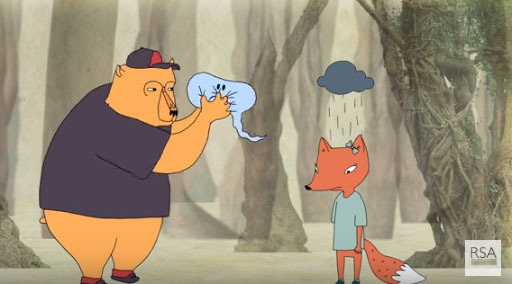 In this short film, go behind-the-scenes at CCI’s Arts in Corrections pilot program, and learn how art and music provide a pathway towards positive transformation and mental health. Artists Featured: transformational drawing instructor Fabian Debora, storyteller Michael D. McCarty, musicians/songwriters Quincy McCrary and Juan Perez, artist Omar Ramirez. February 1, 2018 San Antonio, TX - Students at Communications Arts High School spent weeks restoring photos damaged by Hurricane Harvey floodwaters. Jill Barton, Digital Media teacher, said 14 of her sophomore students lent their talents this project which launched in November. The collaborative effort between the students, Adobe, Recovery Houston, Rebuild Port Aransas, Texas Photo Renovators and Cajun Relief Foundation resulted in 12-20 priceless pictures from Houston and Port Aransas residents being restored. 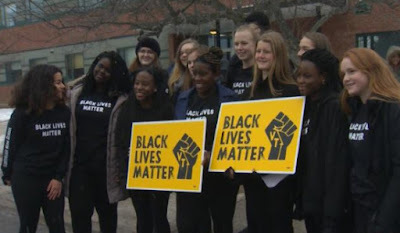 February 2, 2018 Montpelier, VT - CNN reports: There are 350 students at Montpelier High School in Vermont. Only 18 of them are black. But it's because of — and not in spite of — that fact that the school has raised the Black Lives Matter flag. December 11, 2017 Miami, FL Miami preschoolers Jia Sarnicola and Zuri Copeland say they are closer than best friends, closer than sisters, even. 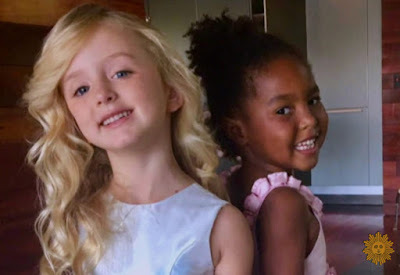 In fact, Jia and Zuri truly believe they're twins - not because they share the same skin color (they don't) but because they share the same soul. 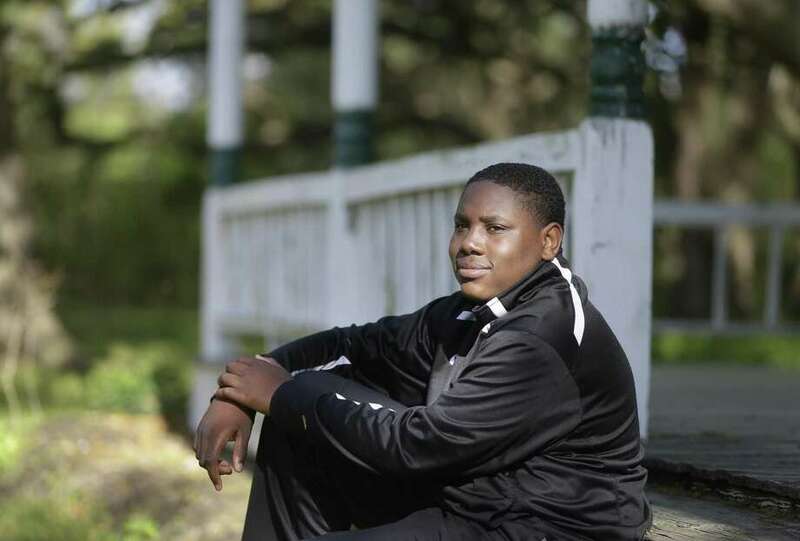 November 15, 2015 A brave little boy named James came to the rescue of a female runner when a catcaller started harassing her. "You shouldn't do that because she is a nice girl and I don't let anyone say mean things to people," James said. According to his mother, this is a typical day in the life of James. October 17, 2017 The BURGER KING® brand is known for putting the crown on everyone’s head and allowing people to have it their way. Bullying is the exact opposite of that. So the BURGER KING® brand is speaking up against bullying during National Bullying Prevention Month. 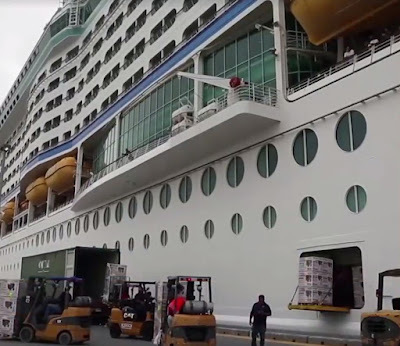 September 28, 2017 - San Juan, Puerto Rico Royal Caribbean is pitching in with hurricane relief efforts in Puerto Rico, canceling a planned voyage to aid evacuees & deliver supplies. September 28, 2017 - US Air Force Academy, Colorado Springs, CO After racial slurs were scrawled outside black students' doors at the U.S. Air Force Academy's preparatory school, Superintendent Lt. Gen. Jay Silveria gathered all 4,000 cadets in a hall Thursday so they could hear one message: Treat people with dignity and respect — or get out. September 19, 2017 - Providence, RI Every night at 8:30 people, police and firefighters in Providence stand outside a hospital to flash lights at the children inside, as if to say "We're thinking of you, good night." 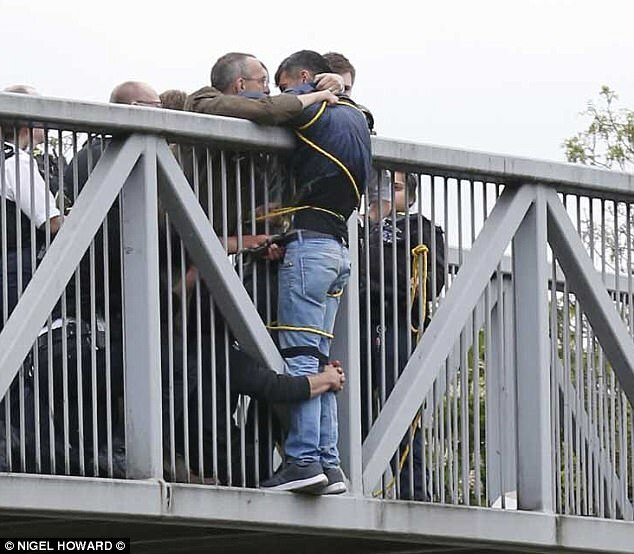 April 28, 2017 - North London, UK Members of the public spent two hours holding a man who had threatened to jump from a bridge. 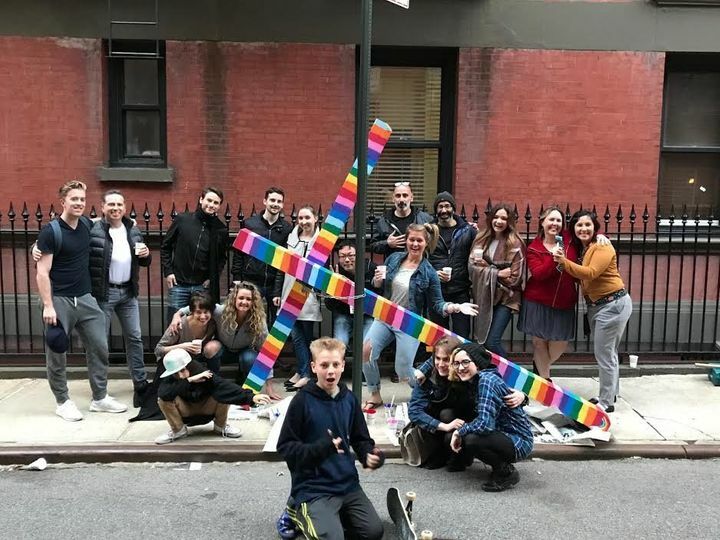 Someone chained a cross to Gay Street in NYC. What happened next was beautiful. 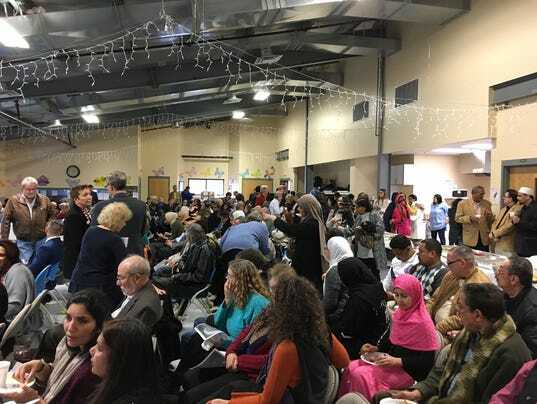 March 28, 2017 - Fishkill, NY This year, when they came together – Muslims, Jews, Christians and people of other faiths -- the event, fittingly called “All for One and One for All — United We Stand, Divided We Fall,” was bigger than ever. Basic human rights emerged as one of the themes, and speaker after speaker denounced violence, and those who perpetrate it, and those who twist religious beliefs to justify it. 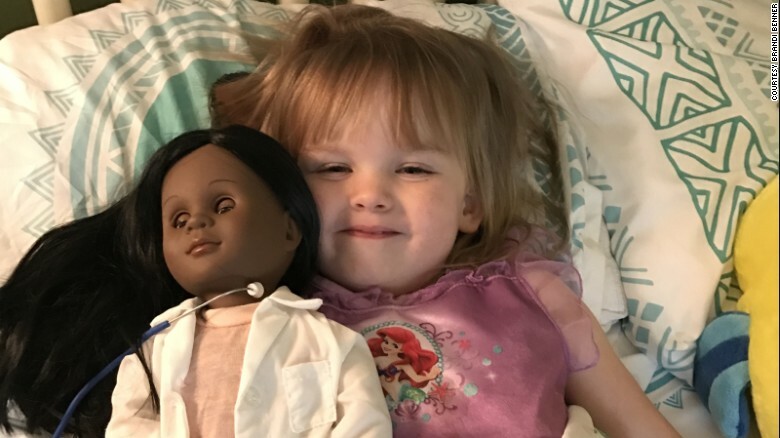 When 2-year-old Sophia was told she could pick out a prize for finishing her potty training, she knew just what she wanted - a doctor doll. 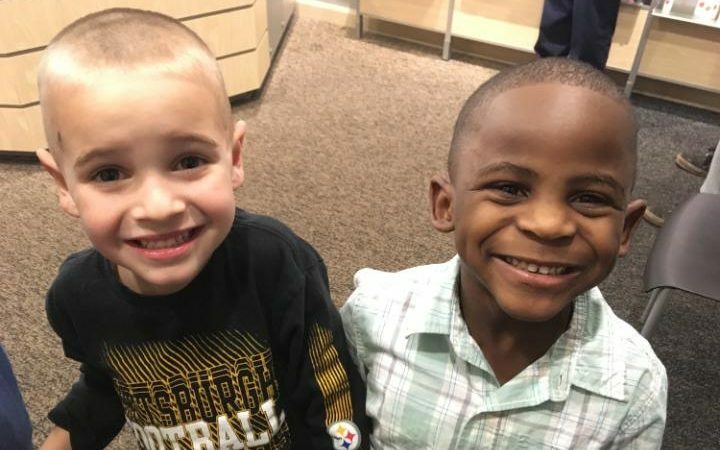 When Jax (on left), a five-year-old boy in Kentucky, was told he needed a haircut, he said that he wanted his head shaved really short so he could look like his friend Reddy (on right). He said he couldn't wait to go to school on Monday with his hair like Reddy's so that his teacher wouldn't be able to tell them apart. 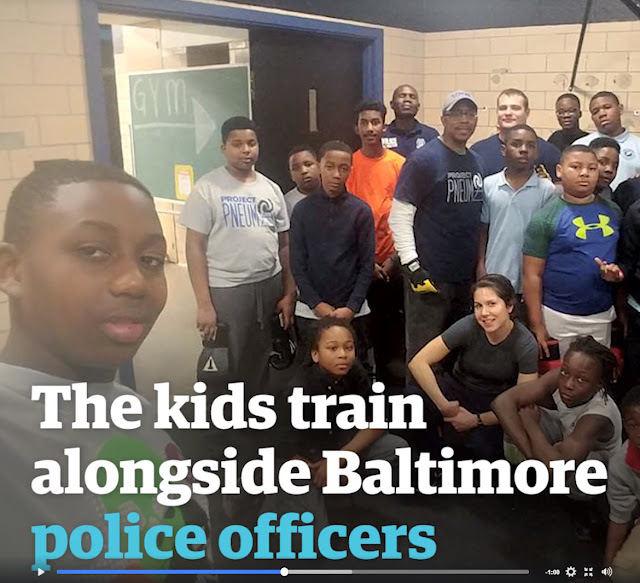 March 23, 2017 - Baltimore, MD These teenagers in Baltimore are practicing yoga, meditation and martial arts to help them cope with emotions and control impulse actions. It’s part of Project Pneuma which means ‘breath’ in ancient Greek, set up to support young black men in overcoming some of the barriers that might hold them back at school. January 31, 2017 - Normal, Alabama Raising Men Lawn Care Service is giving back to the community. This program is a platform for our youth to give back to those in need who are single mothers, veterans, elderly and those who are disabled, by mowing ,raking lawns and shoveling snow from their driveways for FREE. Nov. 11, 2016 - Waco, TX Baylor students rallied on campus Friday morning in support of girl who said she was called a racial slur on campus. The student, an African American, said she was walking on campus when another student bumped into her and called her the 'N' word. She also said another student came to her defense and when he asked the guy who pushed her why he did it, he said he was trying to make America great again. The girl told the story in a video on Twitter. 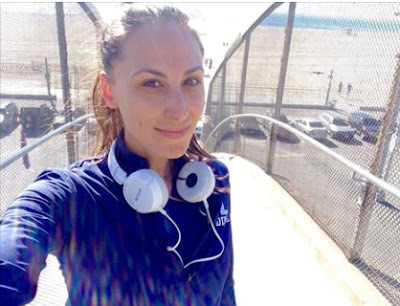 It went viral and the hashtag #IWalkWithNatasha was created. Hundreds of supporters showed up Friday morning on campus to walk as a show of unity. 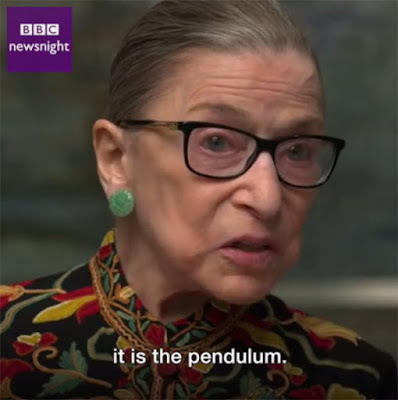 "We are not experiencing the best of times, but there is reason to hope" - US Supreme Court Justice Ruth Bader Ginsburg tells us in a rare interview Feb. 23, 2017. Goodnewspaper - A printed newspaper full of good news. Fighting against a world full of hate by celebrating the people, ideas and movements that are changing the world. Learn more here. In 2014 Honey Maid Graham Crackers made a video about diverse families to remind us of the meaning of "wholesome." They got a lot of comments, both pro and con. The above video shows what they did with all those comments. Rev. William Barber, Pastor of Greenleaf Christian Church, Disciples of Christ in Goldsboro, North Carolina, offers some words of hope. “People have always stood up.” He established a “Moral Monday” as a rallying point about moral issues, holding race and class together. Maybe it’s our time to stand up. "We will never give up on the heart of this democracy." Here's a powerful and hopeful address by Valarie Kaur, storytelling for social change, at the National Moral Revival Poor People’s Campaign Watch Night Service 12/31/2016. 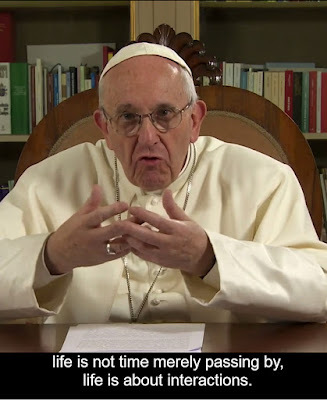 "What if this darkness is not the darkness of the tomb, but the darkness of the womb? What if our America is not dead,, but a country that is waiting to be born?" "We will never give up on the heart of this democracy."